In the last couple of years, Teal Pumpkins have been popping up all over the place during Halloween. You may have seen them on display at homes or businesses. They represent The Teal Pumpkin Project. A project that is very near and dear to my heart. 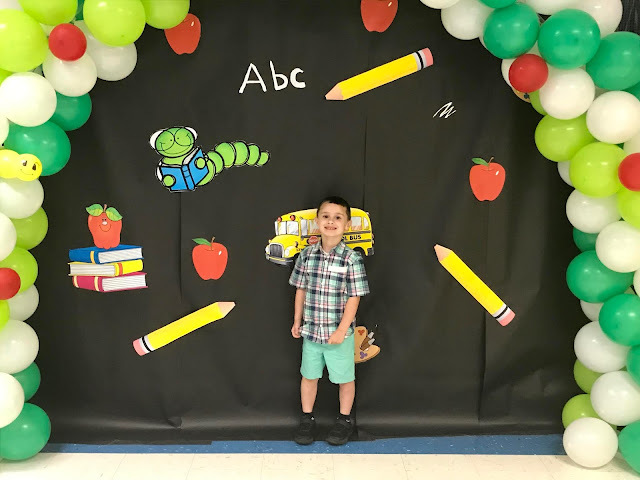 Our son Raylan was diagnosed with a severe life-threatening Peanut Allergy when he was only 15 months old. We are told to stay away from all nuts because of his severity and the risks of cross-contamination. Within the last year, we have also learned that Raylan also has a fish allergy. Raylan is so severely allergic that we have to carry an Auto Epi-Pen Injector and Benadryl everywhere we go. He is ingestion and contact allergic. He cannot eat anything that has been made in the same facility or on shared equipment where nuts and fish have been. Every single label has to be read very carefully. There are so many things that he cannot have which makes Halloween a very scary and trying time. 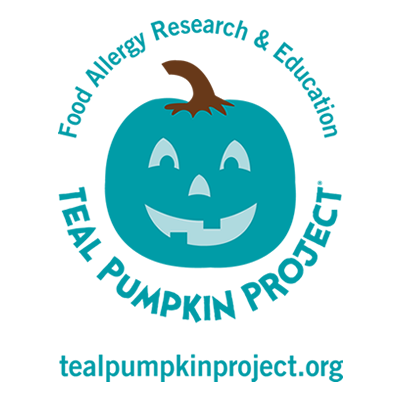 The Teal Pumpkin Project encourages others to raise awareness about the severity of food allergies and promotes inclusions to all children during the Halloween season. Halloween can be such a scary time for children with food allergies and for the parents as well. Several Halloween Treats are not safe for children with food allergies. 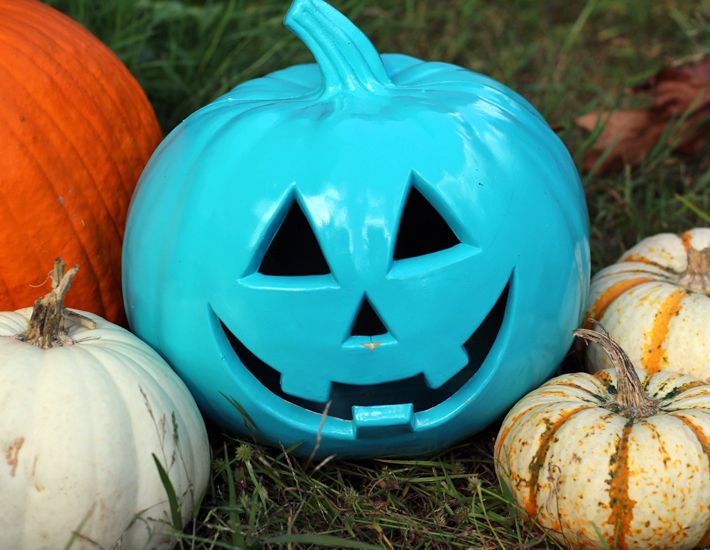 The Teal Pumpkin Project project promotes safety, inclusion and respect for children who struggle with Food Allergies so that they can enjoy Halloween too. 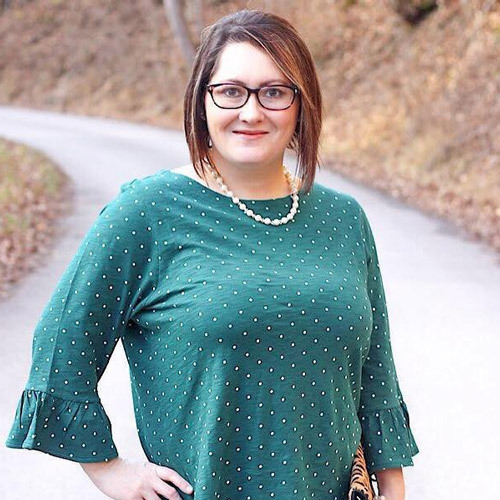 Participating in the Teal Pumpkin Project is simple. Provide non-food treats to Trick-or-Treaters and place a Teal Pumpkin outside your home or place of business along with a Free Printable Sign from FARE to indicate that you have non-food treats available. You can still hand out candy just be sure to keep the food and non-food treats separated. I know from experience how scary and stressful Halloween can be. I have seen my son be so disappointed because there were so many things that he could not eat while trick-or-treating or while attending a Halloween Party. Food Allergy children deserve to be able to enjoy the Halloween Holiday Season and make great memories too. Please help make Halloween safe and fun for everyone!